The Lady Rover Jacket is the female version of this outstanding Ventile® jacket. 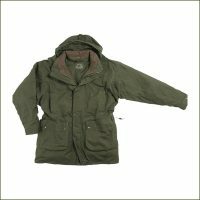 Perfect for hillwalking, birdwatching or as a general country jacket. This jacket has now become Country Innovation's signature. The outer and the lining of the jacket is Ventile®, which in our opinion offers the ultimate protection due to its combination of being highly waterproof, windproof, breathable, durable, comfortable and above all quiet. The Lady Rover jacket will protect you from the elements even if out for a full day, and unlike its man made counterparts its performance does not drop throughout the life of the garment - potentially 20/30 years due to the fact that there is no manmade element to 'break down'. It quite simply is a lifetime investment! The simple difference between the Rover and the Lady Rover is in the cut. 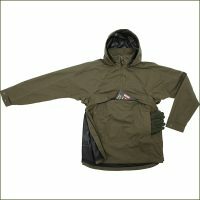 The Lady Rover has all the features of the men's jacket, but has a higher waist, shorter sleeve length and broader hips. 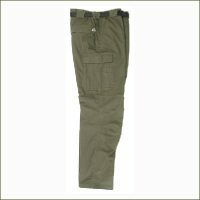 It can be teamed with the Kestrel Trousers to make the perfect weatherproof set.